We created a unique and distinctive product package design that guaranteed high visibility on the shelf. 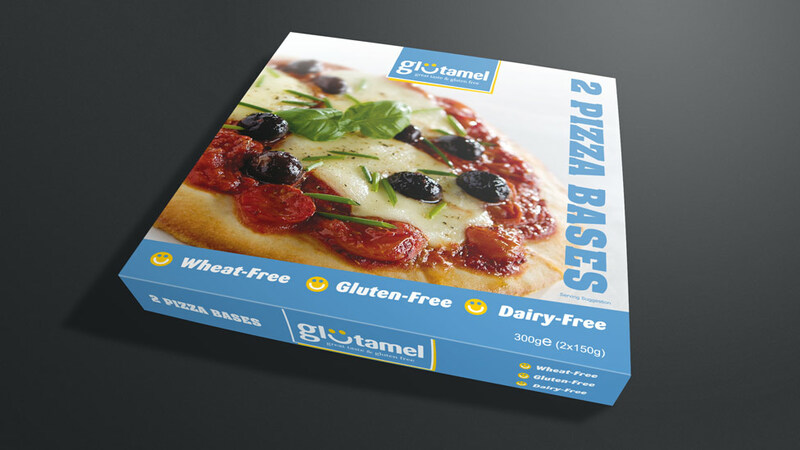 The product package design concepts for these gluten-free pizza bases needed to attract the attention of busy supermarket shoppers, highlighting the product’s nutritional benefits. With 80% of food buying decisions made at the point of purchase, we used bright, seductive food photography for maximum buyer appeal. To maximise this, and differentiate the brand from its competitors, we gave the product package design a unique and distinctive colour scheme. The rich blue and yellow featured on the design ensures the packaging is seen, and the placement of the product’s unique selling points are purposefully in an obvious and eye-catching position. The reverse of the packaging design includes regulatory nutritional and ingredient information, as well as cooking and serving suggestions.